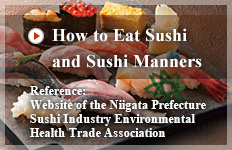 The Iwate Prefecture Sushi Industry Environmental Health Trade Association has been running a project to support disaster-affected sushi operators and reconstruction in disaster-affected areas since 2011 when the Great Eat Japan Earthquake struck. We are listening to those affected by the disaster and strongly believe that the earthquake must never be forgotten. We will continue to broadcast the reconstruction situation together with an understanding of the current situation in the future. 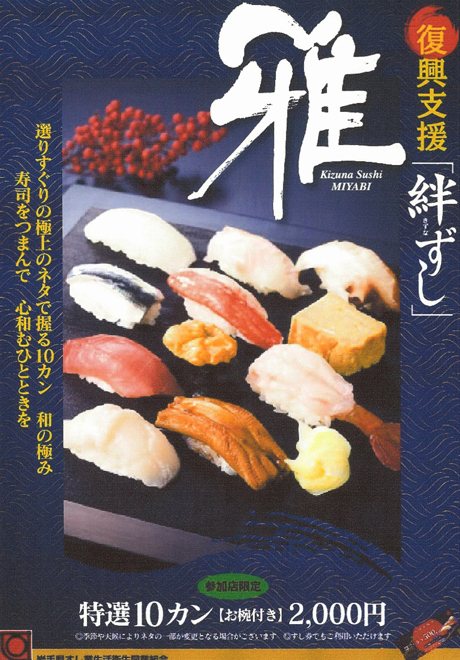 "Reconstruction Support Kizuna Sushi MIYABI" was born from the desire by sushi shops both on the coast and inland to tackle reconstruction among support activities since the Great East Japan Earthquake on March 11. 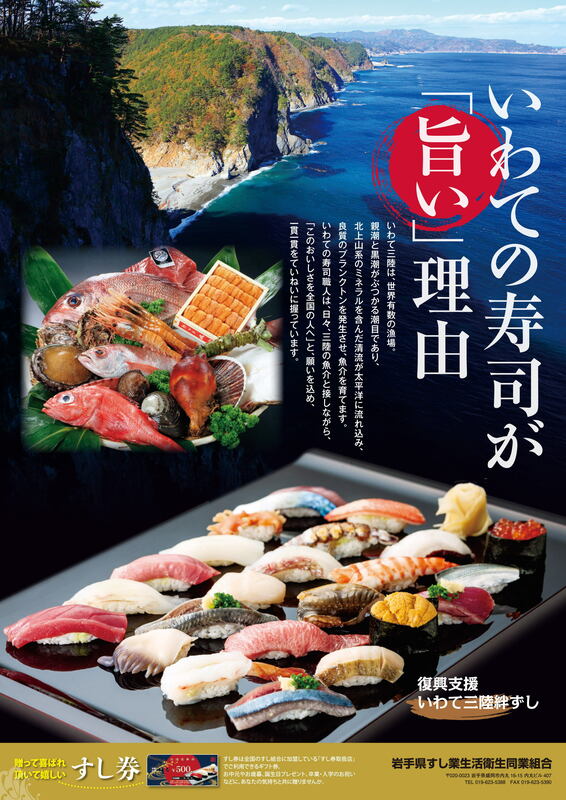 We provide this with the same number of pieces of sushi, the same price and the same feelings in shops in the prefecture in addition to the coastal areas. 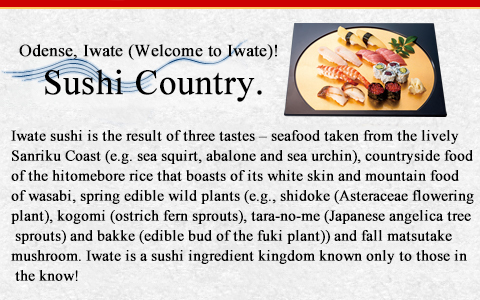 However, the ingredients change depending on the shop and season. The fact that each shop has its own individuality has also won rave reviews. 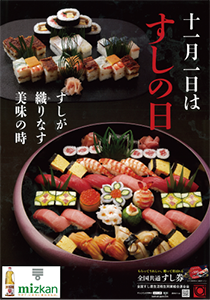 Many people have used "Reconstruction Support Kizuna Sushi MIYABI." We will continue to work toward further reconstruction while nurturing relationships with fishermen in Sanriku. We will continue to contribute to the reconstruction of the Sanriku fishing grounds and Iwate by allowing many people to eat the fish of Sanriku.